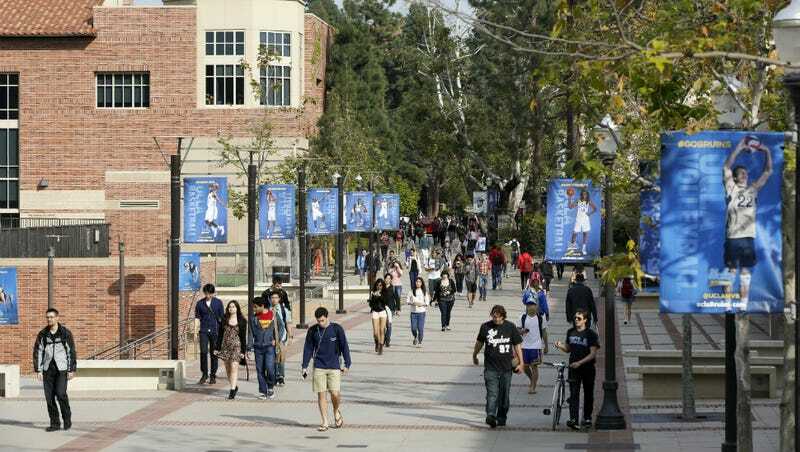 A shooting has been reported at an engineering building on the UCLA campus. Students are being told to take cover in a secure location. As of now, there’s no other information available. An NBC reporter citing unnamed sources is saying two people have been shot. That has not been confirmed. Update, 1:42 p.m.: UCLA says police have confirmed two people have been shot. We don’t know their condition. The two shooting victims are dead, according to the LAPD. The entire UCLA campus remains on lockdown. NBC LA is reporting that a “suicide note” and a handgun were located near the scene of the shooting. Both victims were reportedly male. The incident may have been a murder-suicide. However, as NPR notes, the school remains on lockdown. The FBI and ATF have also been called in. The identity of the shooter remains unconfirmed. Just another terrible, tragic day in America.